The unemployment data left a positive impact on the GBPUSD and today the PMI reports will influence this pair as well. The support rests at 1.31880 with resistance at 1.32800 which both lines are above the weekly pivot point at 1.31690. The EMA of 10 is rising towards the EMA of 75. The MACD indicator is in neutral territory, the ADX is showing strong buyers and the Stochastic is showing upward momentum. 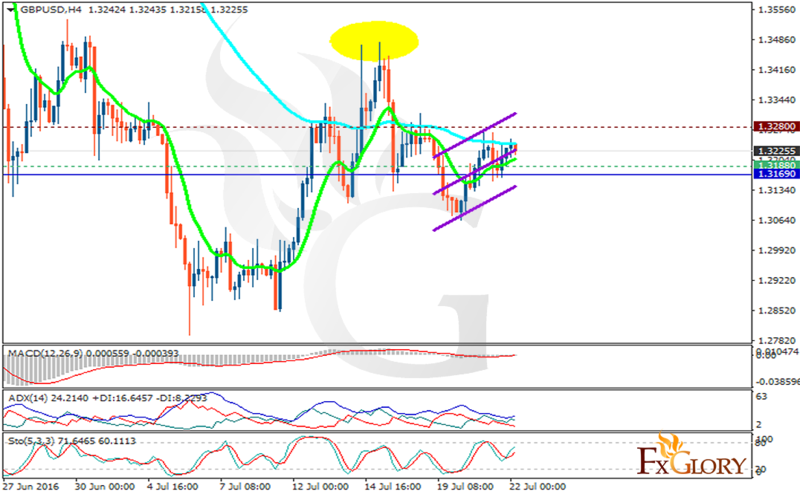 The support level breakdown will lower the price to 1.31 area, however the pair is rising towards 1.3350 at the moment.